For a slow, sustainable, and active vacation, consider exploring Italy by bike. The beauty and variety of its landscapes, the art cities and historic villages in the countryside, and the climate, make Italy an ideal destination to discover on two wheels. If only there was a little more commitment to further develop bike itineraries and paths, to keep the existing ones in a good state and to provide more services to bikers (say, hotels along the cycle routes), then Italy could compete with many of the northern European countries in terms of bike tourism. The main bike routes in Italy are located in the north and center, especially Trentino-Alto Adige, Veneto, and Emilia Romagna. Here’s a look at some great bike routes which I’ve picked based on variety of landscapes, from mountains to seaside to countryside. We will write additional articles on the topic, as this list is far from complete. In the heart of the breathtaking Dolomites, this route develops for about 60 km amid beautiful mountain vistas. 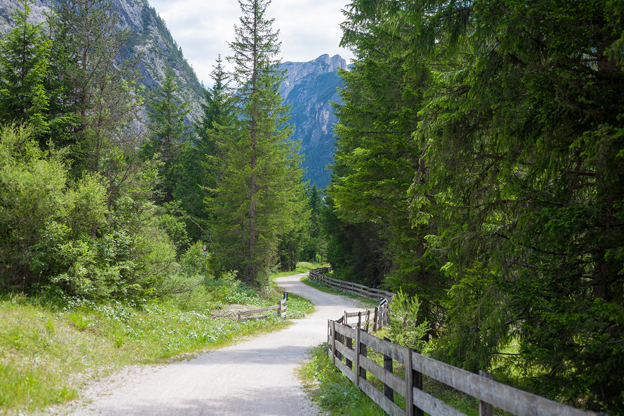 The bike path begins at Calalzo di Cadore, along the shore of the lake by the same name. The first part of the route runs along the Cadore region dominated by Mount Atelao. The valley is dotted with many charming villages, such as Pieve di Cadore (2 km), the birthplace of painter Titian, or San Vito di Cadore (21 km), a popular destination and the point of departure for many hiking excursions. As you enter the valley of the Boite river, you’ll eventually reach the chic and famous Cortina d'Ampezzo (32 km). The first 45 km are uphill (not to worry: it is a steady but easy climb); at Cimabianche (45 km), the path begins to go down and becomes a dirt road, proceeding in the shadow of the impressive Three Peaks of Lavaredo. The route ends at Dobbiaco; but if you’ve loved your biking experience so much that you want to keep going, you’re in luck: EuroVelo route number 7 passes by Dobbiaco, and you can take into Austria, or even all the way to Norway if you’re so inclined, or to the south of Italy if you go the other direction. In the summer, you can take advantage of the Bike'n'bus service, which allows you to load your bike on a specially equipped bus. 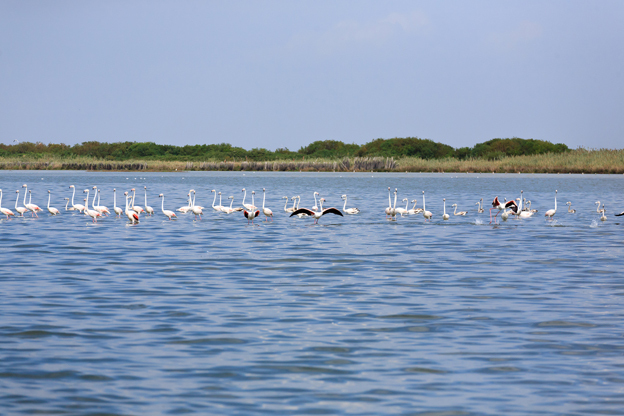 The Po Delta Park in the region of Emilia-Romagna is a UNESCO World Heritage site and a regional park since 1988. It encompasses the provinces of Ferrara and Ravenna and all the cities within this territory for a total of 53.000 hectares. Thanks to its biodiversity, the Po Delta Park is among the most fascinating and best preserved examples of natural areas in Europe. Located in a densely populated area, it provides a good example of how man and nature can prosper in harmony. The park is of course perfect to be explored by bike. Each section of the park can be reached by bike, thanks to a dense network of hiking and cycling trails, with hundreds of possible variations. If you want to traverse the entire park, then the Destra Po route is for you: 125 km along the right bank of the river Po, from the western tip of the province of Ferrara to the river delta and the Adriatic Sea: from land to water, admiring the great natural variety of the park. And it’s all flat, therefore suitable for cyclists of all levels. Also known as the Way of the Bourbons, it connects Naples in Campania to Bari in Apulia, crossing Basilicata, in a coast to coast route from the Adriatic to the Tyrrhenian Sea, taking .… 340 km. Given the many uphill and downhill climbs and a relevant drop, it’s not for everyone. Also, it’s necessary to pay attention to cars, especially near the cities as most of the route is not on a bike path. Of course there are sections with less traffic where you’ll encounter such architectural wonders as Castel del Monte [61 km], in the area of the Alta Murgia National Park. Clearly, you don’t have to bike the Ciclovia in its entirety: if you have to pick a portion, the Puglia stretch is especially nice, with flat, well-maintained roads away from street traffic, crossing into pretty villages where you can stop to taste the local specialties. 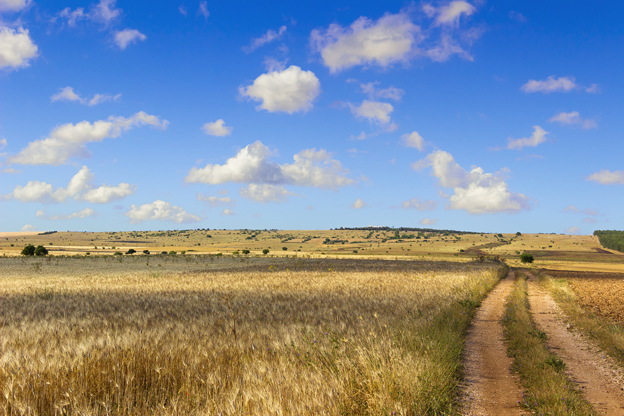 You could also opt for the “Matera Variant”, 153 km, less winding and busy than the main route, to be easily divided into stages (many options for overnight stays); it runs along the border between Puglia and Basilicata, and passes by Matera, which is worth a visit for its unique Sassi. 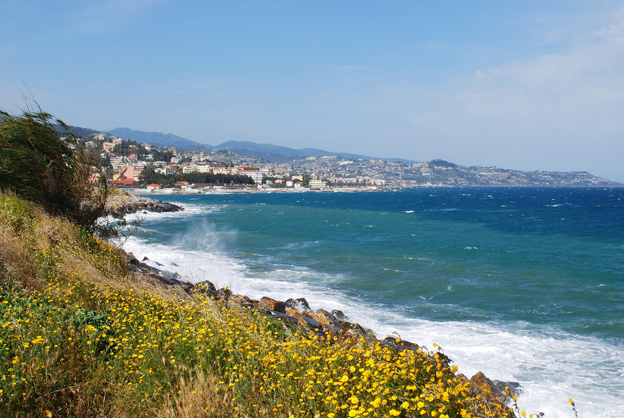 If you like seaside vistas, head for the bike path known as Area 24 on the Riviera dei Fiori, along Liguria’s coast. The bike path, on the Riviera dei Fiori Coastal Park, runs for 24 km (easy!) along the historic railway line that served the Ponente Ligure from 1872 to 2001. This railway line has been portrayed in many books and movies because of the beauty of the places it travels through: quaint little villages, typical Mediterranean vegetation, beaches and cliffs. The bike path is an ideal starting point to discover the Riviera dei Fiori: it begins at Ospedaletti, goes through Sanremo, Arma di Taggia, Riva Ligure and Santo Stefano, to end at San Lorenzo al Mare, with the chance to experience both the international and refined atmosphere of places like Sanremo and the historic charm of quiet Ligurian villages. For those wishing to bike longer distances, the path allows you to connect to other cycling routes; in addition, you can opt for the variety of off-road tracks inland, ideal for mountain biking. The Arno bike path follows the course of the Arno River from its source to its mouth in Marina di Pisa on the Tyrrhenian coast. In between, there are 220 kilometers of Tuscan landscapes, dotted with rolling hills, countryside and art cities. The path is slightly downhill for its entirety, therefore easy and suitable for beginners or families with children. It touches on the provinces of Arezzo, Florence and Pisa, crossing areas of great historic, artistic and naturalistic value. 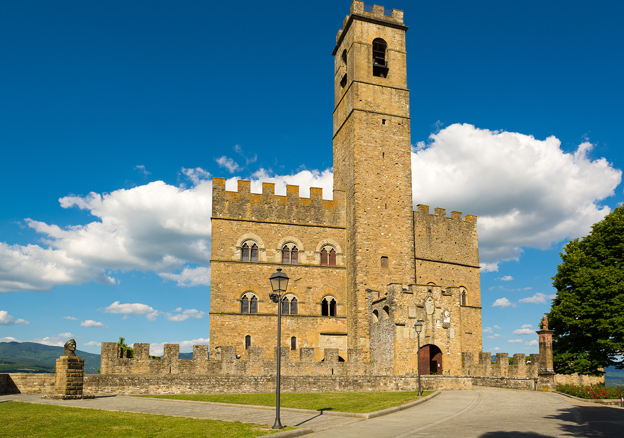 The official route starts at Stia and soon leads you into a broad valley surrounded by the Apennine mountains, with numerous villages along the way, including Poppi, where you should stop to see the castle of Conti Guidi. As you pedal toward Florence, you enter the valley of the Arno where the river takes a wide curve. Given the several points of interests scattered along this route, it’s a good idea to plan daily stages that are not too long – you’ll need time to stop, soak in the atmosphere, admire the beauty! The last major stop is Pisa (200 km), before getting to Marina di Pisa, in the San Rossore Regional Park. Catching a glimpse of the sea in the distance will make you feel especially proud, knowing you have traveled 200 km on your legs in a totally environmental-friendly adventure.